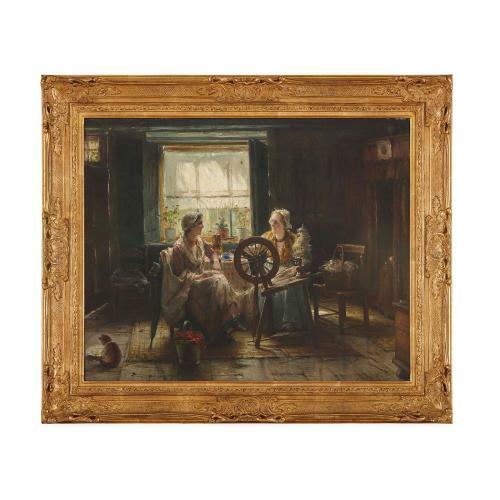 This charming 19th Century oil painting depicts a domestic scene from everyday life, a theme characteristic of Portielje's approach to genre painting. 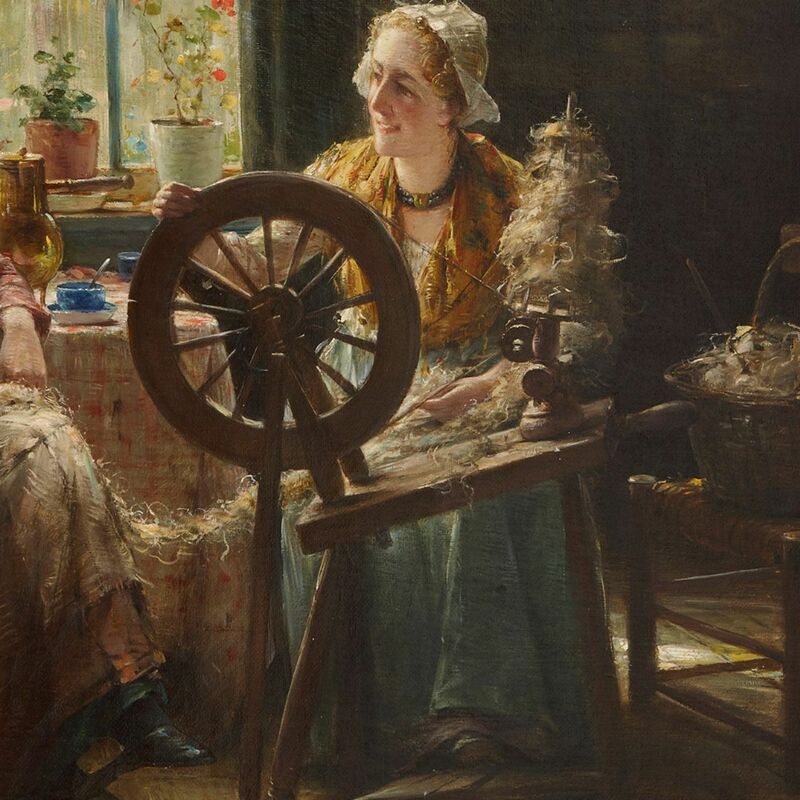 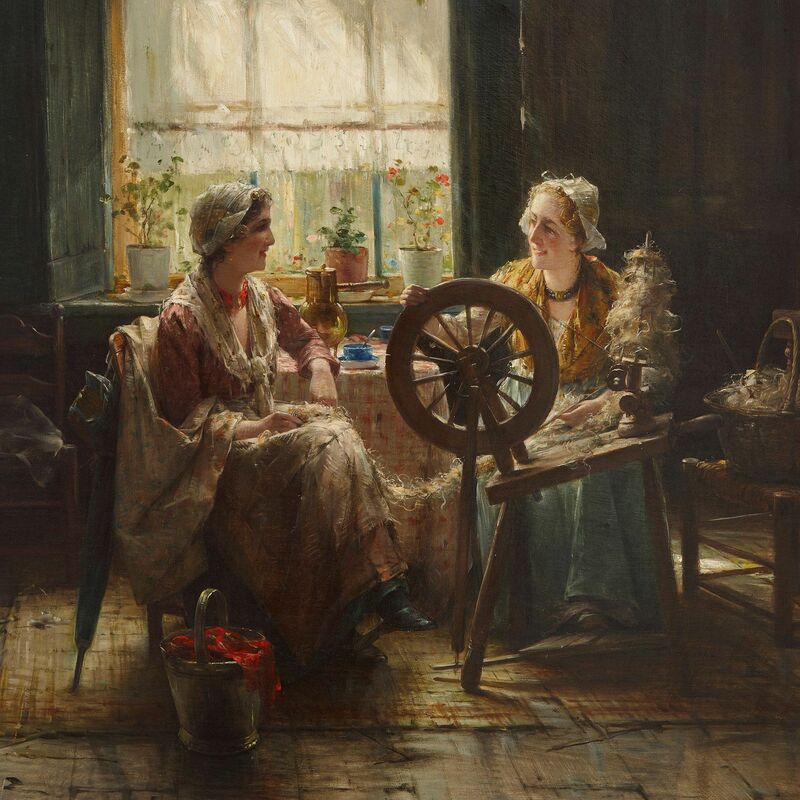 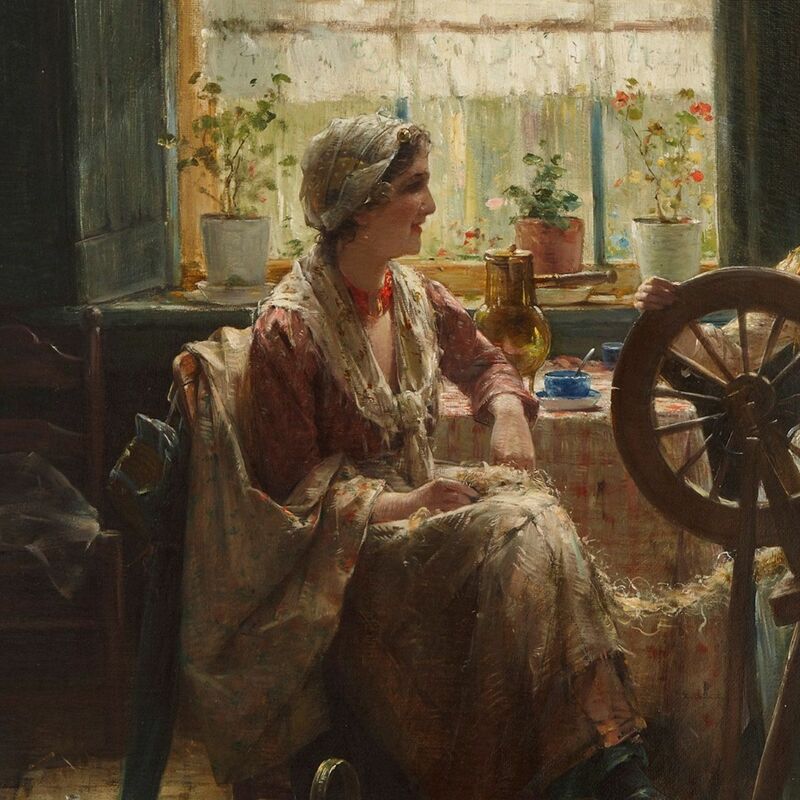 Depicting two ladies in a 19th Century interior setting, seated around an antique wool spinner. 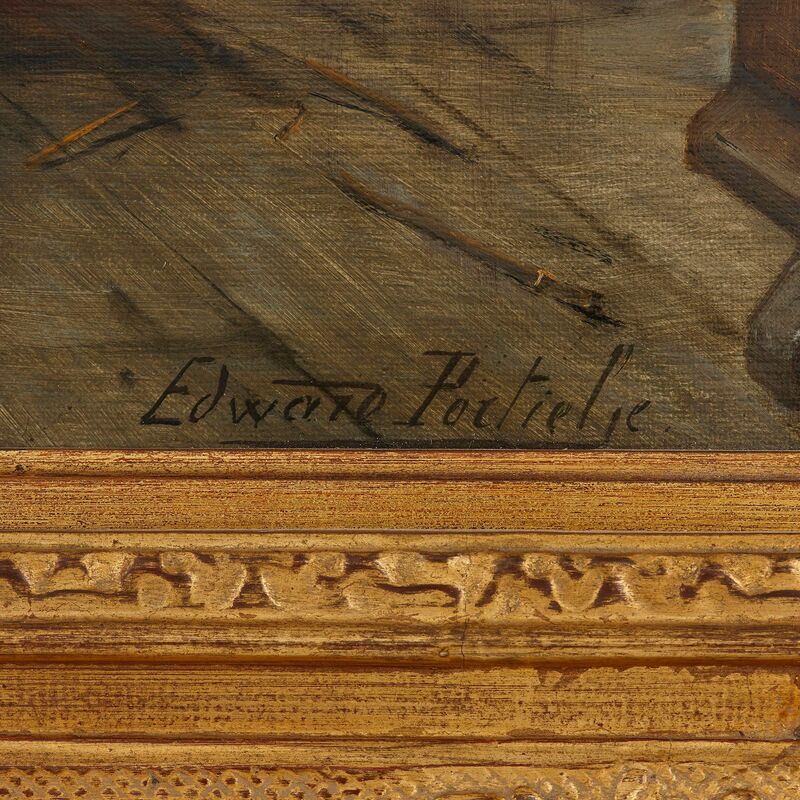 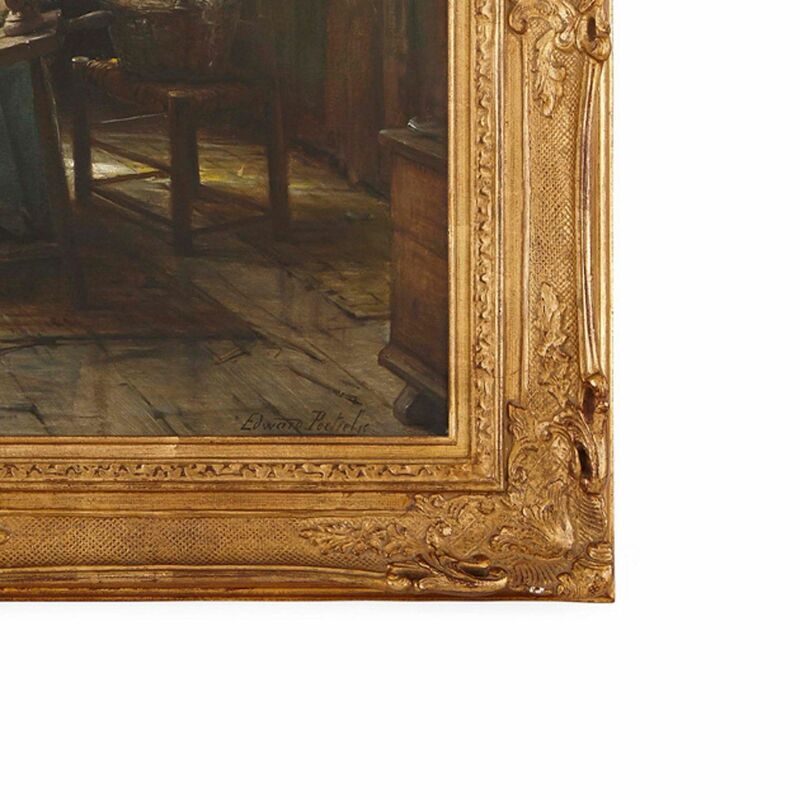 Oil on canvas in a carved giltwood frame, signed lower right 'Edward Portielje'.